The horrors and atrocities that Holocaust victims endured during World War II by the Nazi Regime will always be an example of how evil people can be. After World War II, many Nazis fled Europe and were in hiding across the globe. 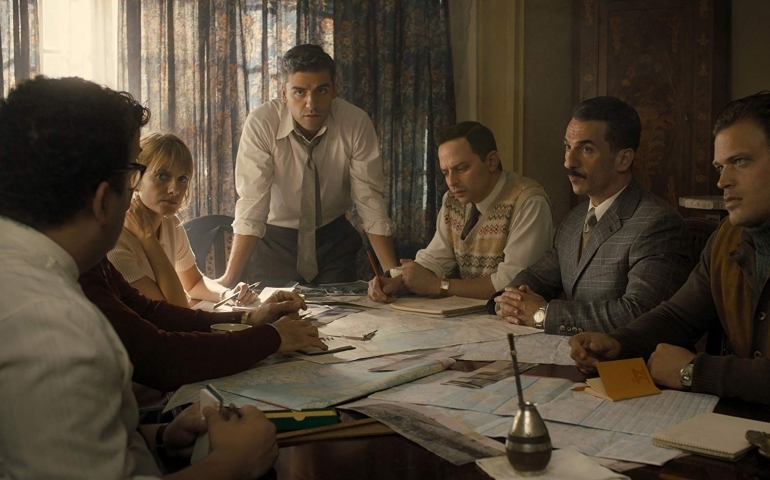 The movie “Operation Finale” brings history to life by picking up 12 years after the end of World War II, carrying on through the planning phase and mission to bring a Nazi officer to justice. The person of interest was Adolph Eichmann, a major contributor to carrying out the transportation of Jewish people to various death camps during the “Final Solution.” His work attributed to the murders of over 6 million people in various locations including concentration camps and death camps. In 1957, Adolph Eichmann was found living in Argentina under the alias, Ricardo Klement. His whereabouts were reported to the Israeli government where the planning phase began to bring Eichmann to Israel to be tried for the war crimes that he had committed. In 1960, Israel sent a task force to carry out the daring mission of the attempt to capture and return Eichmann to Israel. For those who love historical movies, Operation Finale does not disappoint. Even if you do not know World War II history, this movie helps the viewer understand from the beginning what Eichmann was involved with and the reason why he should be found. This emotional film covers the true events that took place in the attempt to capture a notorious war criminal. While some of the movie has been altered to make it more exciting, it follows the history of the story closely. The cast is led by Golden Globe Winner, Oscar Isaac, and Academy Award and Golden Globe-winning actor, Ben Kingsley. Isaac plays one of the head Israeli operatives, Peter Malkin who is attempting to carry out the mission. Kingsley, plays Adolph Eichmann, the man being hunted. The director, Chris Weitz made the movie easy to follow for all viewers. The acting was incredible and believable throughout the film, and this film provoked many emotions from start to finish. Operation Finale was a captivating film that highlighted the atrocities that Eichmann carried out during WWII and the daring mission of the attempt to capture him. There was enough suspense and drama to keep the viewer interested throughout the film, and I would highly recommend this movie to anyone that is interested in historical films.